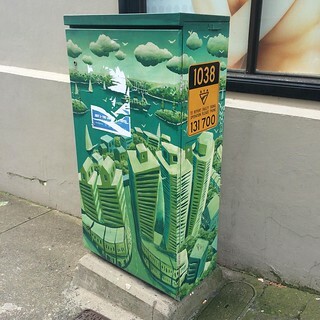 How does your suburb deal with monotony of every day utility objects and make them more interesting? 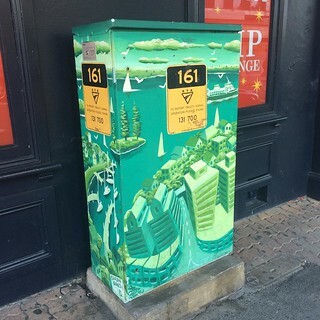 Walking around Bondi Junction I found some nice beautification, including art on traffic light controller. These are all titled “days one” by Stephen Evens. I’m sure are more than these 3 I found around the streets. 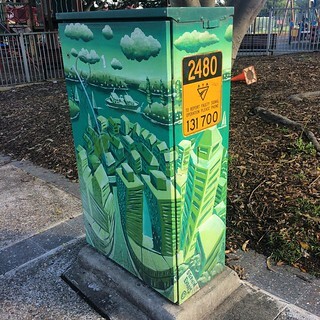 This entry was posted in Photos and tagged photo, public art. Bookmark the permalink.